HOW WELL DO YOU KNOW THE AULD SCOTS LANGUAGE? on Thursday 17th September at 7 pm and prove it. 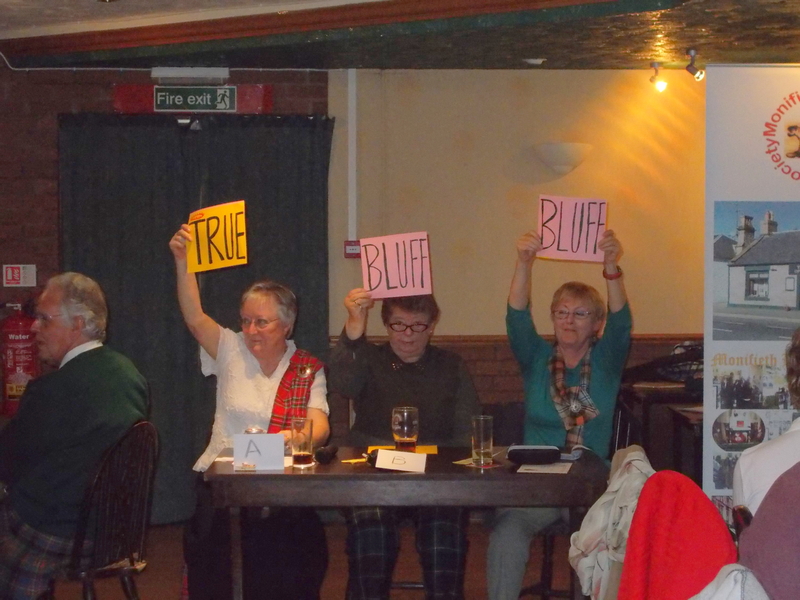 We are having an evening of Scottish Call My Bluff. Bring some friends, make up a table of four to six people and see who knows most of our obscure old Scots. There will be lots of tall stories and it’s up to you to get to the truth. An evening of fact, fiction and fun all for £3 a head with stovies and bannocks included in the price. Individuals not connected with a formal team can link up so no excuse not to come. It’s hard to locate well informed folks on this issue, but you seem like you understand what you’re talking about!